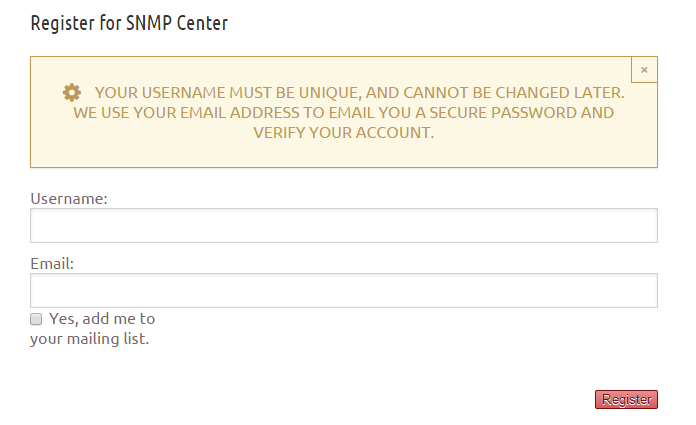 The procedures outlined below will enable you to create an account and login at SNMP Center to enjoy the complimentary and premium services available. The first step is to create an account. You can do that by clicking on the upper-right corner of the web page. 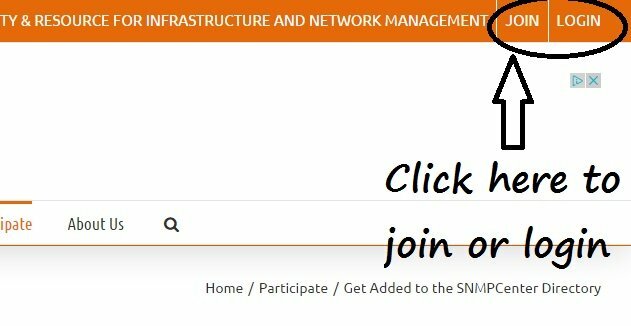 If you wish to receive exclusive content and weekly updates from SNMP Center, you can directly subscribe to the SNMP Center newsletter by checking the “Yes, add me to your mailing list” checkbox. This is optional. 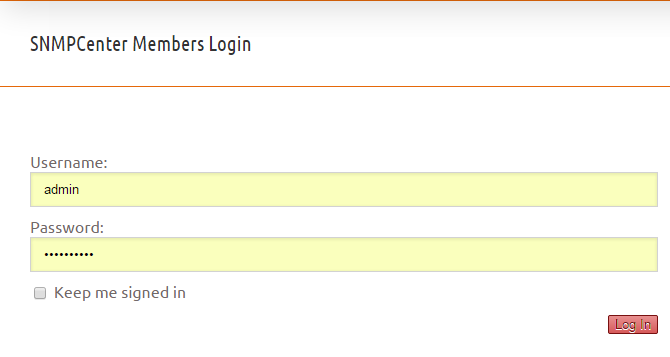 Enter the username you selected at step #2 and the password you received by e-mail and press “Log-in”. You are now ready to use the complimentary or premium services of SNMP Center!